Celebrate Valentine's day with a romantic food and wine tour, culminating in a special Valentine's Day dinner, on this tour from Florence. 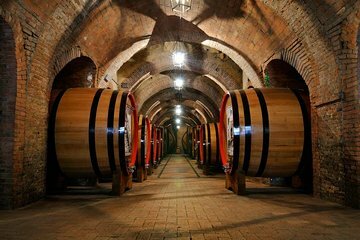 This private tour includes round-trip transportation in a luxury vehicle to Chianti, where you'll explore the medieval town of San Gimignano and visit two boutique wineries. Taste wine, tour the vineyards, and then sit down for a gourmet, farm-to-table meal with your loved one.